3,500 of the over 43,000 student volunteers from city-based universities and junior colleges attended the opening ceremony for the 17th Green Summer Campaign July 11 at the Ho Chi Minh City Zoo on Nguyen Binh Khiem Street, District 1. The campaign held by HCM City Youth Union and the city’s Student Association was attended by deputy Secretary of the city Party Committee Nguyen Van Dua, deputy Chairman of the city People’s Committee Hua Ngoc Thuan and First Secretary of the Central Committee of the Ho Chi Minh Communist Youth Union Vo Van Thuong. According to the plan, volunteers will participate in many social and community activities in not only 322 city wards and commune, but in 11 other provinces nationwide as well, including the Central Highlands, Central and Mekong Delta regions. At the ceremony, Deputy Chairman of the city People’s Committee Hua Ngoc Thuan said the campaign would be positive activity for the city’s youth. During the 30-day campaign, he hopes that each volunteer will bring enthusiasm and initiative to their activities and complete their tasks. 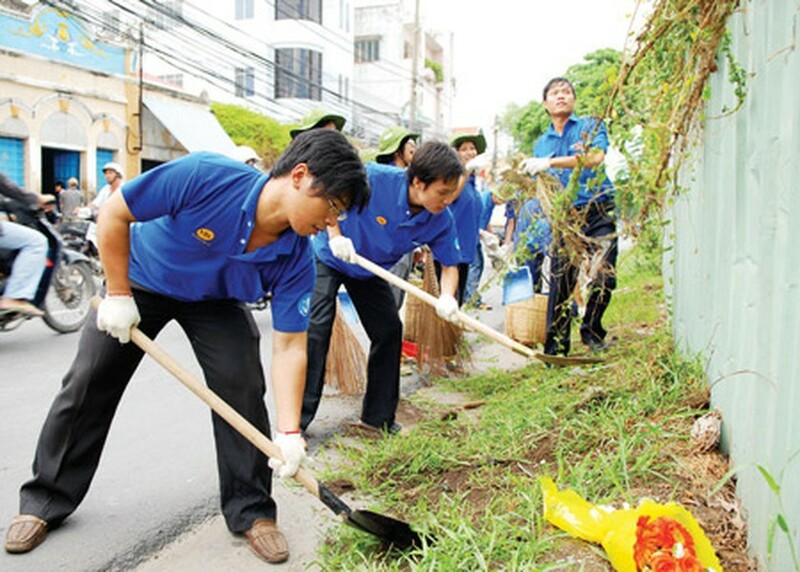 Directly following the campaign’s launch, volunteers began work at test sites such as canals to collected garbage and focus on cleaning up environment pollution in the city. Observing volunteers’ actions, SGGP reporters saw that despite fatigue caused by the hot and muggy weather, volunteers maintained their spirit and laughed merrily through their chores. Te Ngoc Duc, deputy secretary of District 8 said that within the spirited environment they create, volunteers would finish work ahead of schedule. Cleaning canals is one of the first day’s campaign tasks, Duc said. The campaign this year will not only focus on improving the environment, beautifying the landscape along the Saigon River, but also implementing civilized urban lifestyle and urban beauty, said Ta Hoang Vu, head of the campaign. 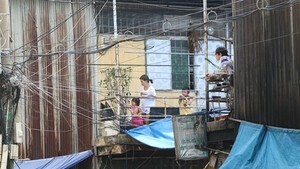 150 volunteers gave assistance to implement public hygiene and take down illegal advertisements on the Tran Hung Dao Street in District 1 as well as propagandize residents to implement civilized urban lifestyle. In District 10, 100 volunteers will help direct traffic to avoid congestion at nine places such as Ly Thuong Kiet and To Hien Thanh streets. Other teams will also work at other districts in the city, engaging in meaningful activities such as repairing damaged streets, tidying up war martyrs’ gravesites and training residents on fire prevention and firefighting skills. It is still early to evaluate results of the campaign because it has only just begun; however, students are sure to have an unforgettable experience that will provide them happy memories. Students will have the opportunity to learn valuable lessons about human compassion, the lives of farmers and social affairs, said Vu.